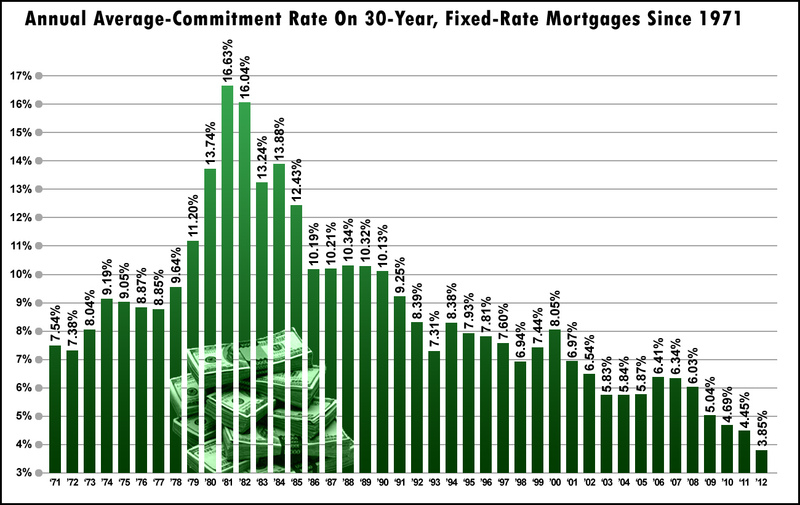 Amazingly 30-year fixed rate mortgages have been hovering for the last several months around 3.85%. The chart above displays the historic proportion of today’s rock bottom interest rates with graphic clarity. MIND-BLOWING. The interest rates of these recent months are below all previous records tracked by Freddie Mac. Mortgage money has never been “cheaper” at a time when home prices couldn’t be more attractive. These history-making low rates combined with an almost unprecedented drop in home values have made the monthly cost of owning a home today, according to the National Association of Realtors, the lowest since records began in 1971. Search Any & All Real Estate Listings Now!